Fall is my favorite season. It is a clear example of God in action and the complexity of His wonder. 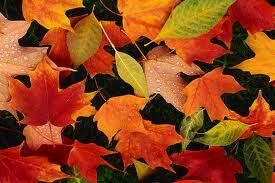 How can you not look at the different color leaves and not think how great God is? I find hope in this season. I think, boy, if God can change one leaf different colors, then what can He do for me? If dying leaves can exhibit so much beauty, then what beauty lies within my sick diseased body? If the new and the old leaves can live for a while together in harmony, then what does it say for my broken immune system, and my will to live; opposites coexisting in one body. Yes, fall is full of wonder and reminds me how great God is and the complexity of His miracles. I latch on to the wonder of fall and use it to exit from the lazy summer and jump start my world into full throttle down the road of life. When I woke this morning I was so weak I didn't want to get out of bed. But I felt the cool breeze come through the window and it reminded me that I was alive and change was on it's way, for such a breeze can only happen in the fall. So I crawled out of bed into this newness, bathed and connected myself to my morning IV medication. With tea and scone in tote I began to walk the road of my life with faith grounded in God's awesome wonder of His miracles, that are clearly exhibited in fall. 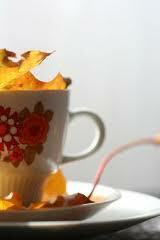 Yes, fall is the signal of my new year. For me it's a time for change, hope, reevaluation and perseverance. 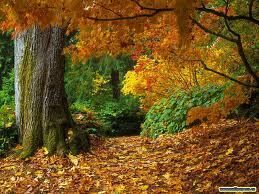 I hold onto fall, because it is the time that I see God doing the most with His creation of nature. Without man's intervention, God determines the land scape and creates a visual masterpiece right before our eyes. This masterpiece full of wonder, mystery and contradictions, provides hope for my shattered body and spirit. If God can do it for leaves, then He can certainly do it for me. If both the dead and the living leaves can bring forth so much wonder, then why not my broken body and spirit do the same in my living vessel. So I'm forging ahead as we enter into fall and I'm not letting anything get in my way of the wonderful miracles God will work for me and through me. 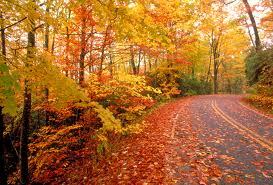 I challenge you to embrace the wonder of fall and make the changes that will help you be the best that you can be. Crawl out of your bed into the newness of life! Ground yourself in faith and the miracle of fall and see God work miracles in your life too.